You know your website is crucial to your business’s success, but you might be wondering how much of your budget you should allocate to your custom WordPress website. This article will help you better understand what all goes into the cost of a custom website that actually converts your users into customers or opt-ins, so you can budget and plan accordingly. Regardless of how much you pay to get your domain name initially, you should budget $10-15 per year to maintain the registration. Next, you need some sort of web hosting. Web hosting is what actually lets you be online, and these fees will be paid monthly or annually. You won’t usually see the web hosting fees included in the design and development fees, but you should plan for them anyways. How much will this cost you? Again, there are some options. 1. Shared Hosting (as little as $3.95/month). With shared hosting, you’ve got a lot of websites hosted on the same server, kinda like an apartment building. Each “apartment” on the server has its own space and web address, but you might find yourself stuck with whatever the apartment building gives you in the way of available bandwidth and space. 2. Virtual Private Server (at least $29.99/month). This is still like an apartment because there are many websites hosted on the same server, but each account has more control over what it can and cannot do. It’s more like a condo, since you have the freedom to do what you want with your apartment. Because you have more control over your hosting environment, this is a more expensive option than shared hosting. 3. Dedicated Server (at least $99.99/month). With a dedicated server, you own the entire apartment building and have complete control over it. If you need extra security or have a lot of traffic, this is the best option for you because it gives you the control that you need. This is the most expensive way to host a website, but sometimes it’s the best option. 4. Virtual Server W/ Dedicated Space, Security, and Maintenance ($59.99/month). With this package you own the entire apartment complex and you are high enough up that you have other people doing the work for you. You get the space you would with a dedicated server and on top of that you get complete website security and support. So, how much will you spend each year for web hosting? Your total out-of-pocket expenses will be between $47.40 and $1,199.88 each year. 1. Design: If you are just starting out and you have no money to invest in your online presence, a pre-made theme will work for you, this aspect could be free or could cost up to around $100. Just understand this is temporary because if you want any shot at growing your business, generating leads, sales, and or opt-ins from your site it will never happen substantially with a template. If you need a custom WordPress theme and you have it designed by someone who actually knows what they are doing, you can expect to spend between $2000 and $50,000 having that theme developed. If you don’t provide your own graphics, you can expect to spend between $15 and $20 per image for stock photography or graphics, or considerably more for non-stock graphics. 2. Content: Next, your page needs content. Will you provide this, or does the designer need to do it? If you write it yourself, this can often be the least expensive option, but there are ways to outsource content writing on a budget, too. You can expect to pay a freelance non-native English speaker around $1/page, or you can spend as much as $100+ per page if you hire an agency to develop your content for you. My advice is to write the content yourself. You are the expert, right? The most important piece with content is how to write sales or information copy and where to put it on the site. An experienced marketer like myself will easily be able to guid you here and it should be included in the cost of the site. Well thats how I do it. These are examples of “functionalities” that can be developed and customized by a developer for 10’s of thousands of dollars, but if you design your website with WordPress it can be free or cost you very little. According to Which Web Design Company’s analysis of 7,382 design companies around the world, the average starting prices for some common website development projects range start from $1,190 to $2,640, and can be as expensive as $10,000+ depending on what functionality you need and what type of hosting you choose. 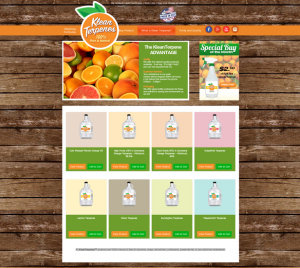 • Brochure Website ($1,190 – $3,000+) This is a website that is basic, providing information about your business and just giving you an “online presence.” You’ll typically get a Home page, an About page, a Services/Products page, and a Contact page. • CMS Website ($2,235 – $10,000+) This type of website usually incorporates a database and/or dynamic content, and includes everything the brochure website includes. In addition, though, you get a CMS-integrated design (like WordPress) which gives you an easier option for “logging in” and making changes to the content of the site. • eCommerce Website ($2,600 – $10,000+) This is your shopping cart-enabled site, and includes everything that a “brochure” site includes. On top of those pages, though, you also get the eCommerce functionality with a shopping cart and the ability to add and update products, accept and process payments, etc. To sum everything up, remember that you get what you pay for. You can plan on spending hundreds or thousands of dollars or more on a high quality website with a completely custom design and a suite of product features. The sky is almost the limit, but you need to be smart about choosing what you actually need and what your customers will use. Did you find this WordPress pricing helpful? What are you going to do with your current or new website? Let us know your next move or ask any additional questions in the comments. Share with someone you believe this can help too! This article was syndicated from Business 2 Community: How Much Does a Custom WordPress Website Cost?